Heat oven 350. Blend pumpkin, water, oil, flax seeds and vanilla until well blended; set aside. Mix together flours, sugar, baking powder, baking soda, and salt in a large bowl; add pumpkin mixture, and stir until well blended (add a little water if mixture seems too dry). Fold in chocolate chips and nuts (if using them). Spoon into muffin tins, and bake for about 25 to 30 minutes. 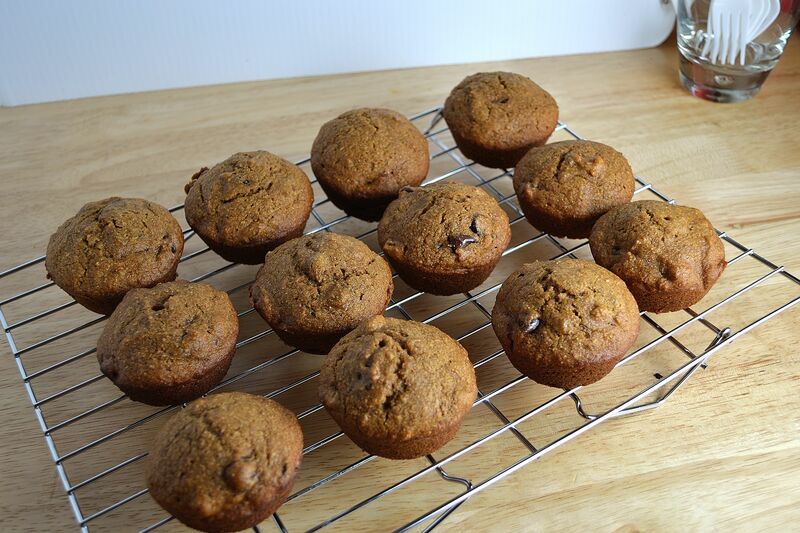 To read more about these muffins and my musical pairing, click HERE.